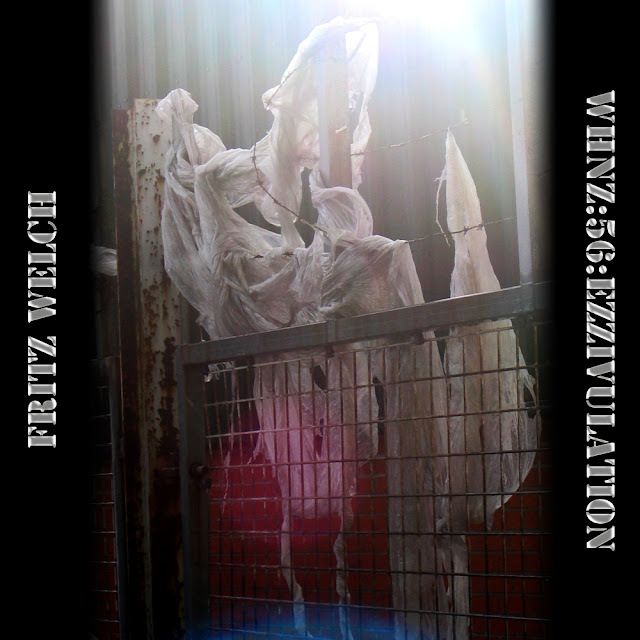 Originally titled "Freeze Dried Speculative Damnation", this set was originally released as a cassette in 2008 by the Brighton UK based label Archivo De Sangre De Dios. The individual tracks were culled together from past releases and stuff that had until that point, never found a place. Each piece was recorded in a different context, under a variety of circumstances. Due to Accumulated Slacker Syndrome (A.S.S. ), the tape had a very limited run & almost no distribution, in fact it was so small that it created a vacuum of negative spacial displacement. What follows is a brief description and explanation of each piece. Lossless versions available through label's Bandcamp. Amplified Bible: This piece was recorded in 2002 at my house on Bushwick Place in Brooklyn. It was one of various versions of a piece i was commissioned to make for a film by Jeff Wyckoff. His piece Alpha-Omega (2003) presented a new view of cardiac and tumor tissues through multi photon microscopy, which sends a high wavelength infrared laser into a standard light microscope. And for clarification on the title, Amplified Bible was one of my pal Joe Garcia's mid 80's stoner blues band names. 1049 Willoughby Ave: In 2010 we moved into a new place in Bushwick. There was an ancient burglar alarm system still attached to one of the walls. The device was mainly a mini reel-to-reel tape recorder remotely connected to a trip switch on the front door. This is a direct document of the message that was meant to scare off potential thieves. Throw Ups: In 2008 i did an installation called Slow Burn at Trace Gallery in Cardiff Wales. The gallery director and legendary performance weirdo Andre Stitt was kind enough to let me spend a week drawing and dribbling all over his walls. The culmination was a 5 hour durational performance using my voice, gongs, cymbals, objects and general un-hingedness. This piece is an excerpt of that action recorded on Alex Baggaley's cell phone. Politic of Egg (Live in Berlin): Side B kicks off with a live track recorded at The Politics of Ecstasy Festival in January 2009 at Hebbel Am Uffer in Berlin. The curator Jeremy Wade asked me to participate in the "Speaking in Tongues" night. I always considered what i did to be purely secular and would never consider handling a snake while boogying. On this occasion i used the old time tested group scream routine that I commonly employed in Peeesseye gigs. Eventually ending up in a gray soup flavored cover of Black Flag's You're Not Evil. Cookie's Lament: Similar to Without Aimed, this piece was a single element of a larger sound piece. It was part of an installation at the Contemporary Arts Center, New Orleans in 2001 called Somnambulant Transgression by Remote Control. It was built in a large circular gallery with a ramp that wrapped around its 6 meter high outer walls. The installation included a massive walldrawing of an exploded skull rendered in wood-grained vinyl, a xerox collage of building rubble soufflé wheat pasted to the wall, a silver foil sign with the words LUCIFER RISING in reverse and a wooden fragmented CONQUER DEATH sculpture. All of the letters were scrambled together with interlocking geometry. Stereo speakers were mounted to the sculpture playing the randomized sound piece. The piece starts with the voice of Cookie, a close friend of mine who had been hospitalized in Queens NY for pneumonia but ended up getting a major staff infection and had to have a chunk of his lung removed. Other sound sources include field recordings from The Transit Museum in Brooklyn, frogs in Sumatra, a sound piece in Vienna and radio transmissions from Java and Brooklyn pirate radio pioneers Free103Point9.